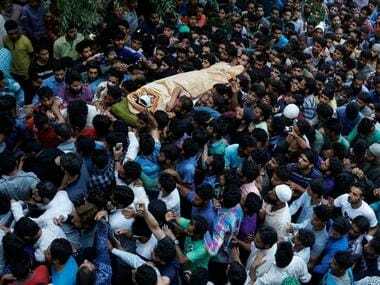 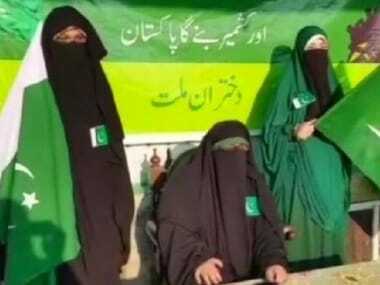 An all-women outfit, Dukhtaran-e-Millat was formed in 1987, and considers Kashmir as a “long pending dispute that has come into existence’’ through implementation of the “two nation theory"
Activists of Asiya Andrabi's Dukhtaran-e-Millat hoisted Pakistani flags at many places in the city including Lal Chowk, Downtown and Civil Lines areas. 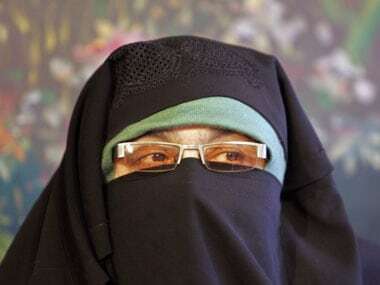 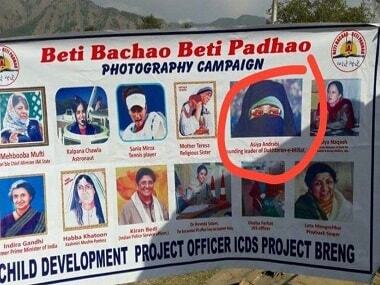 Telangana Police said they are investigating "reports" claiming that Asiya Andrabi had visited the state but denied that three youths, arrested recently for allegedly planning to join jihadi terror groups, had ever met her. 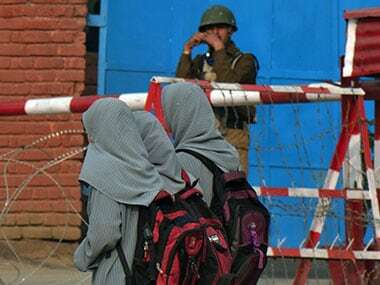 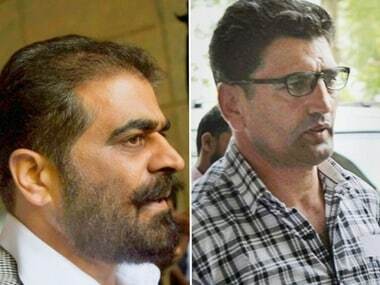 Separatist outfit Dukhtaran-e-Millat on Monday asked people to stay away from New Year celebrations, alleging they were part of RSS' plan to export "lewd" culture into Kashmir. 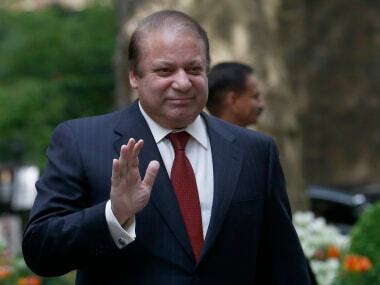 Pakistan Prime Minister Nawaz Sharif has written to the leader of women separatist outfit Dukhtaran-e-Millat Asiya Indrabi, praising her role and pledging "moral, political and diplomatic" support of his government.